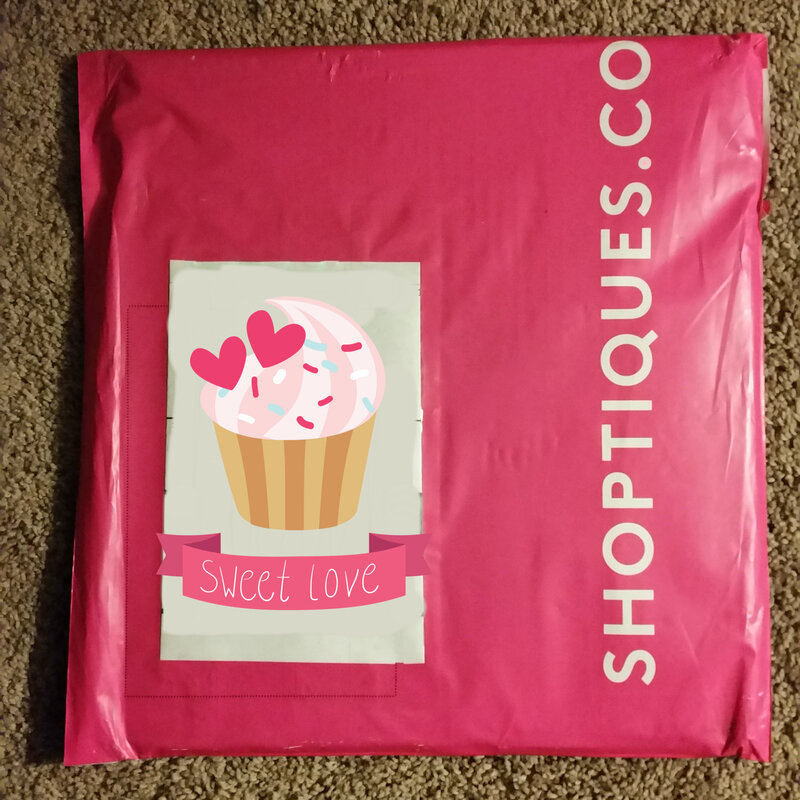 Discount to Share: You get $15 and I get $15 when you make your first purchase! 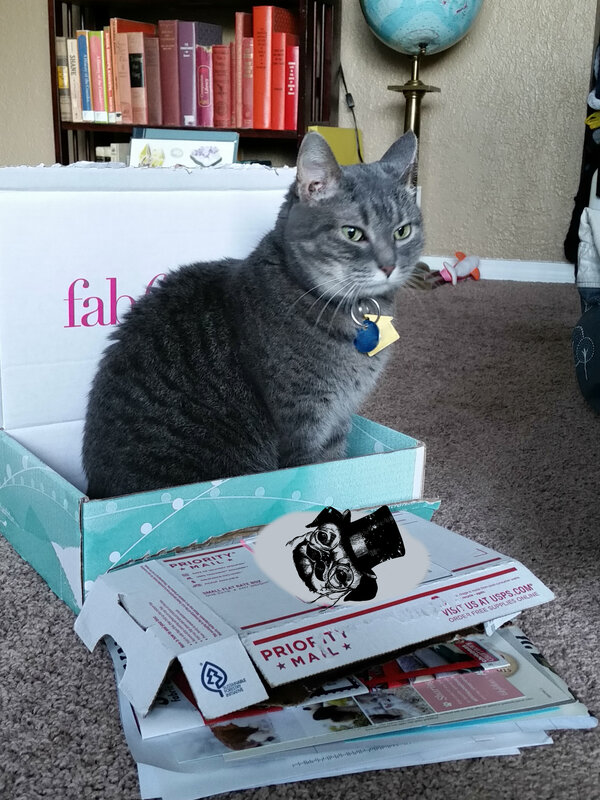 In the FabFitFun Winter box there was a fancily boxed giftcard for Shoptiques. I had never heard of this site, but I decided to check it out. Wispy scarves blew across the screen as leather purse vultures squawked overhead. I was overwhelmed at first and had to make multiple visits before I found some items. Then I had to put several items back because, uh, budgets. 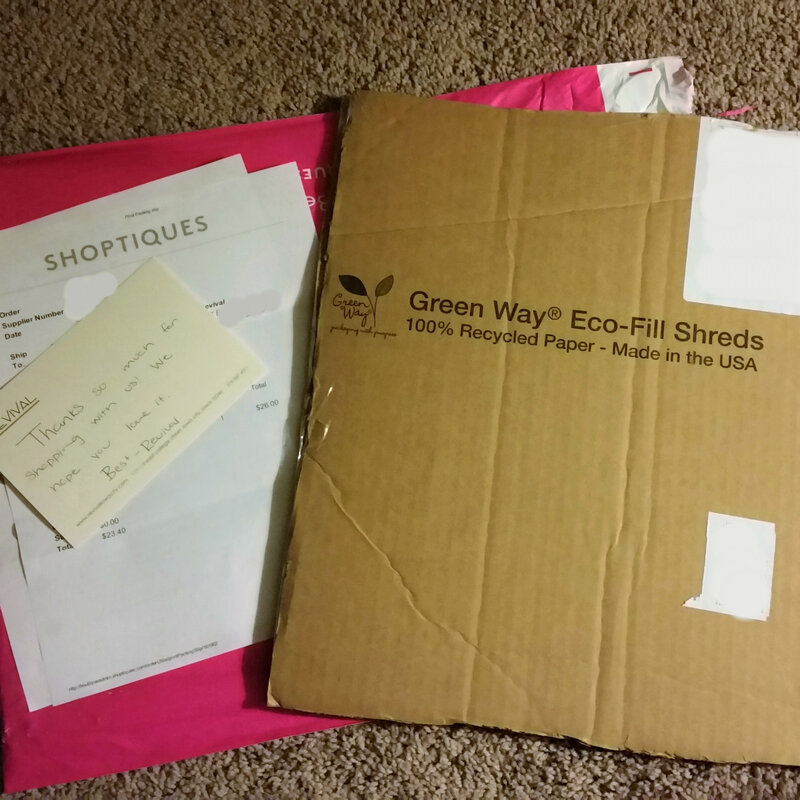 Both packages arrived on the same day from Iowa and Cape Codfish. 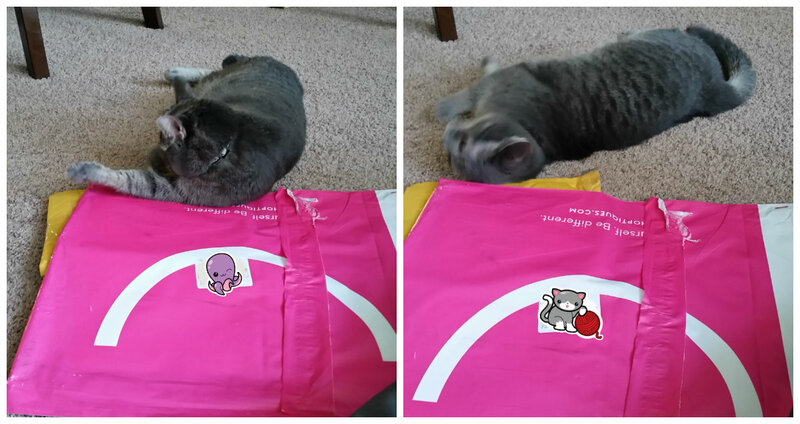 Here we see Inspector Bella making sure my items meet her approval for nap locations. I love this! I actually made a watercolor geode piece last year and it’s hanging in the bathroom. McBoyfriend hates this and thinks it looks like stickers. That’s okay though because I think it’s the first piece of art I like and he doesn’t. 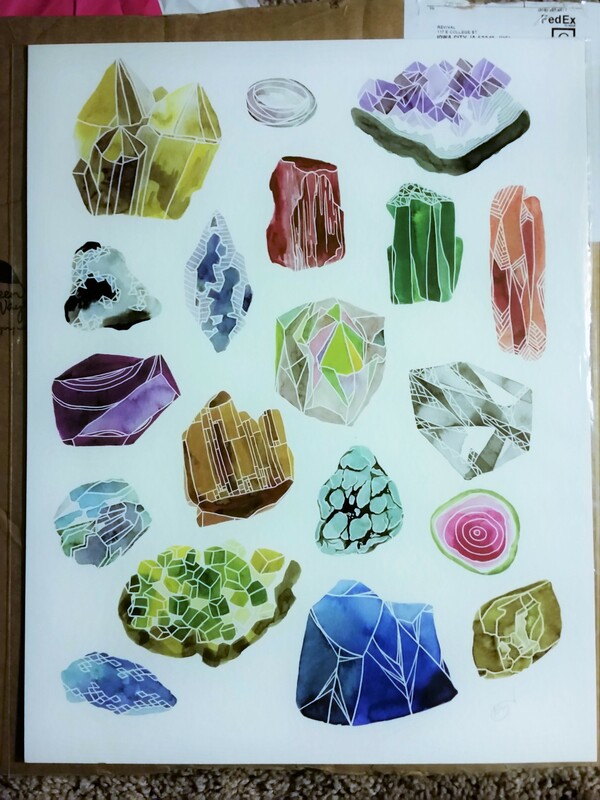 Now to figure out where to hang it… we’re sort of running low on wall space!! I’ll probably hang it above our bed… or is that rude? Bella took a break from rubbing herself on my packages to check out my boots. She loves shoes. 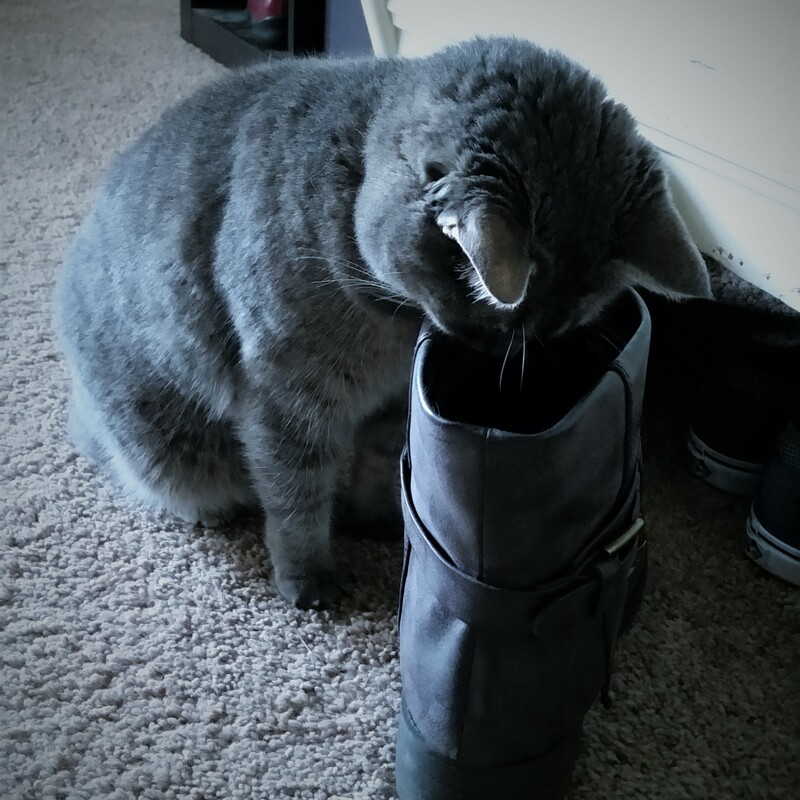 Like foot obsession loves… it’s sort of creepy seeing how much she enjoys my foot scent. More unwrapping. I love the colors! Okay… I bought a lot of socks this winter, and winter started like three weeks ago [evidenced here: Bespoke Post Swagger, FiveFour Club, and my Birchbox Order]. So, I thought these were a perfect way to sum up my sock addiction! 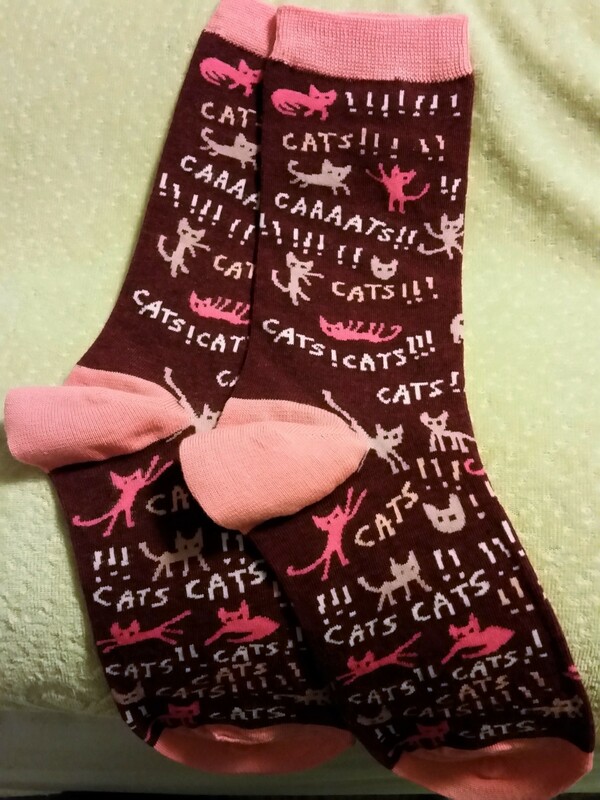 I found Blue Q before Christmas when I was looking for new socks, and while I was adding several amusing pairs to my wishlist my sister unknowingly purchased the CATS!!! socks I wanted. They’re nice. The sayings and pictures on the socks remind me of succinct Someecards encapsulated on a sock. You may not be surprised to learn that my other favorites included a squirrel watching a girl read and says “sup nerd? ” and another pair with “My Favorite Salad is Wine ” Sangria for me, thanks. Verdict: My total came to $35.99, then I used a 10% discount, my shipping increased during checkout for some reason, then after my $25 off coupon I owed $16.51. 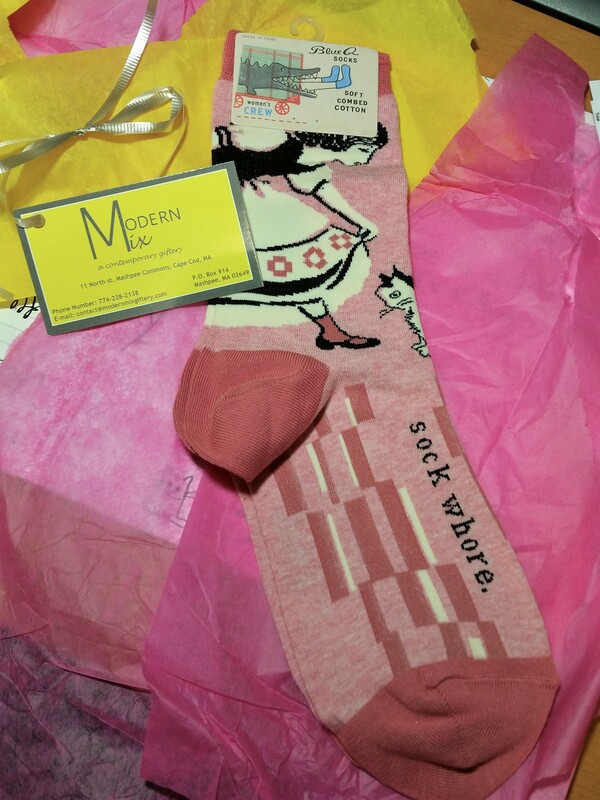 Not bad for some soft, funny socks and a lovely print from small boutiques! Bella decided to help me break down boxes to put in the recycling… can you imagine getting a tiny kitty in your next subscription box delivery?? What do you think? 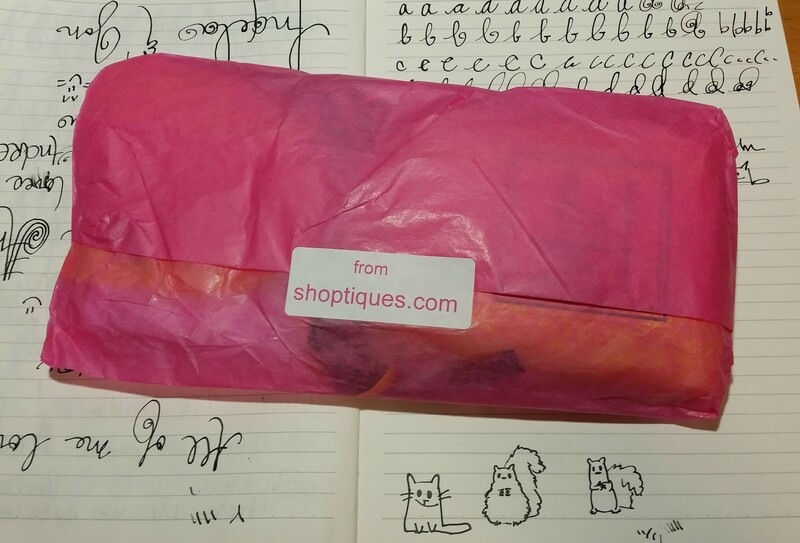 Did you use your Shoptiques card? 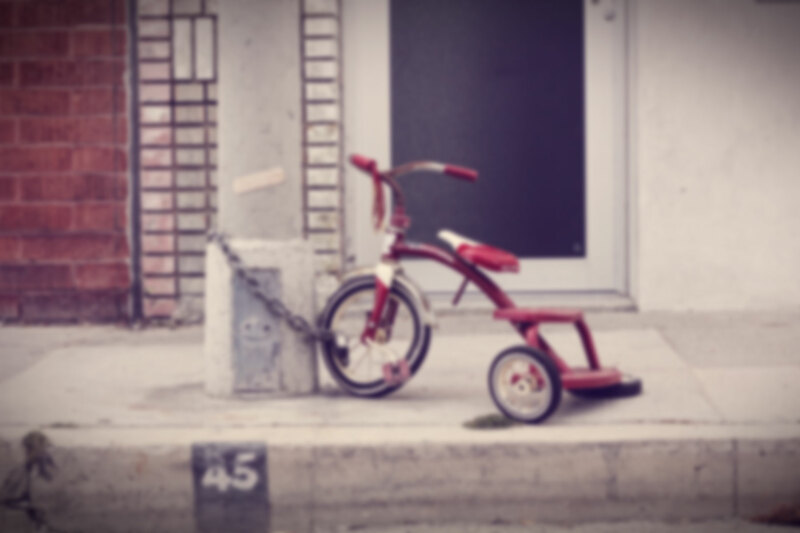 Disclosure: There are affiliate and referral links within. Love the socks. One can never have too many socks. When my kitty was only a few months old I use to find her asleep hugging one of my sneakers. They have all different prints. Very cool, AngelaR! I’m liking this coloring trend I’ve been seeing. I used to always pick “stay inside and color” when we were given options at work [over go outside and stand in the rain]. I’d almost rather draw the pictures than color them though! Have you seen zentangles? I haven’t done them in a while, but they’re really fun to do. I’m going to send this link to a FB friend who is obsessed with adult coloring, and even found colorable wallpaper! Wow colorable wallpaper I have to look into it! I want to redo my room. But I can’t make up my mind on what I want to do. I had to look up zentangles. Now that is something I need to give a try! Thank you. 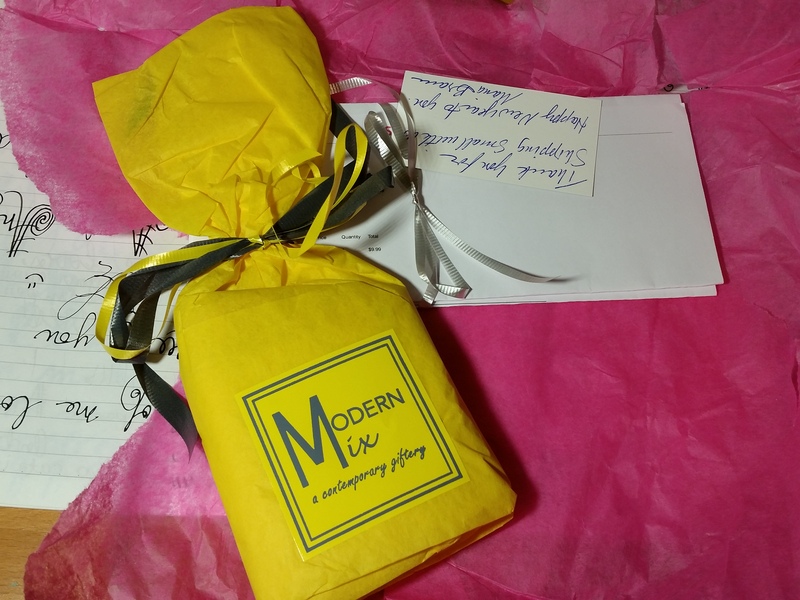 Ok you seriously need to find a sock subscription box! And do those kitties socks have tuutuus? Awesome. No tutus, just weird leggies. My mom and I were actually looking at a few socks sub boxes. I think Sock Panda was what we found most interesting. 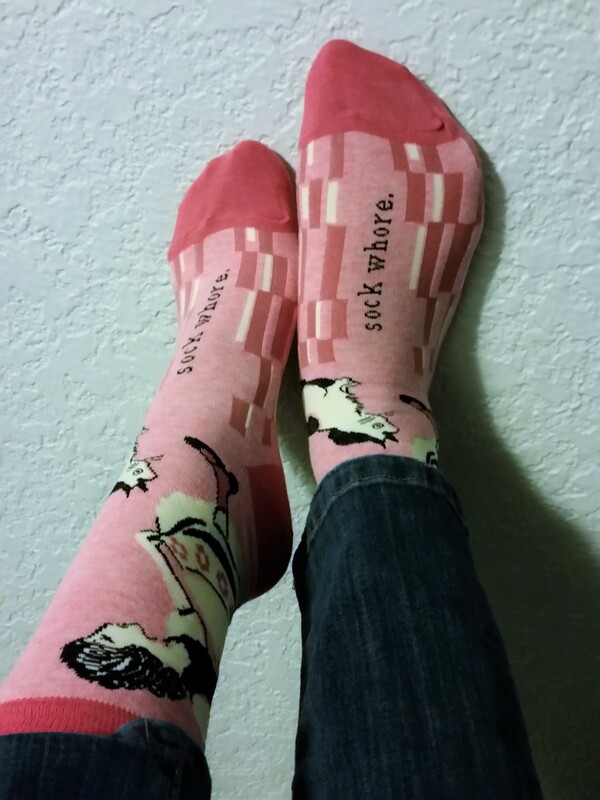 It is like those Sock Whore Socks were made for you with the kitty on them! I love the print. I will have to check out this Shoptiques you speak of!